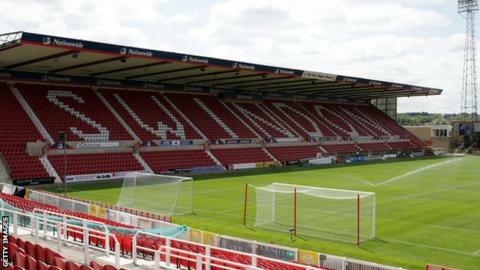 Swindon Town owner Lee Power says he has agreed a price on land within the borough for a multi-million-pound training facility for the club. They had been training at Liddington but with that deal ending they have recently agreed a three-year contract at Beversbrook - a community facility. "There is a lot of infrastructure this club hasn't had over the past 20 years," Power told BBC Wiltshire. "It hasn't had it's own training facility. He added: "The football in the community work somewhere else, the academy are somewhere else. I'm trying to bring a bit of unity and pull them together - that is why it is paramount we find somewhere." Speaking at BBC Wiltshire's fans phone-in, Power would not give a time frame on when the purchase would be completed, but revealed an offer had been agreed, with a site identified by advisor Fraser Digby. "It's in the borough, we've made an offer, it's been accepted," he said. "Until the paperwork is signed you don't want to go into too much detail."